This time I was using up scraps of 'Lap of Luxury' designer series paper. 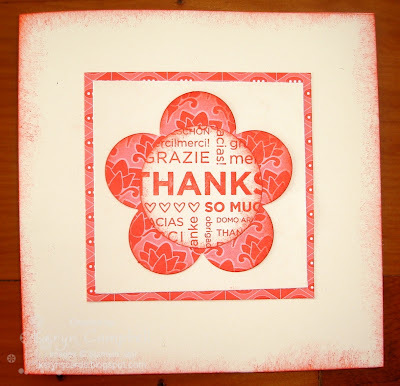 I'd done my stamping and punching and most of my sponging. 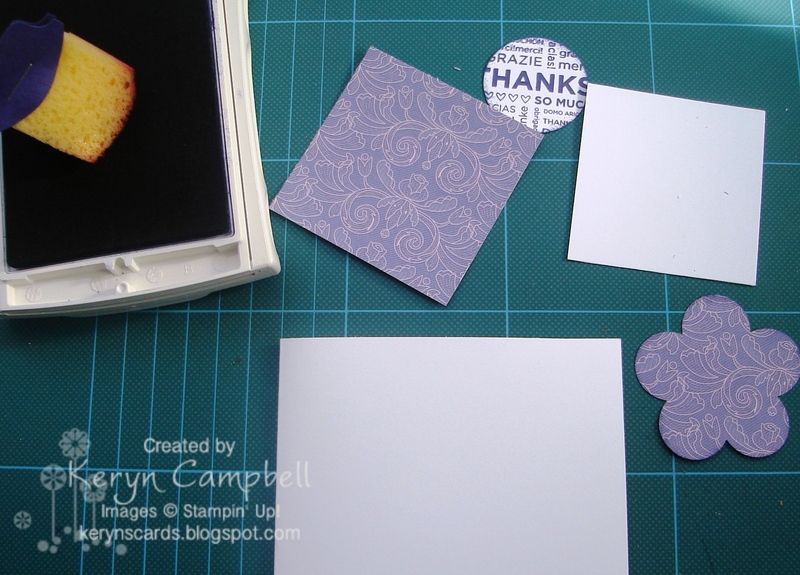 The next step was to sponge the 6.5 x 6.5cm scrap of designer series paper and attach the whisper white square to it. Sponging is one of the best times to get ink on your fingers. After almost throwing this piece away and a great deal of muttering I hit on an idea. Why not use a scrap of cardstock to make a leaf. 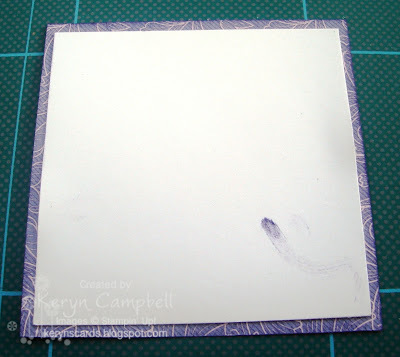 I found in my scrap drawer a piece of already embossed concord crush cardstock and punched out a large oval shape. This is the result. 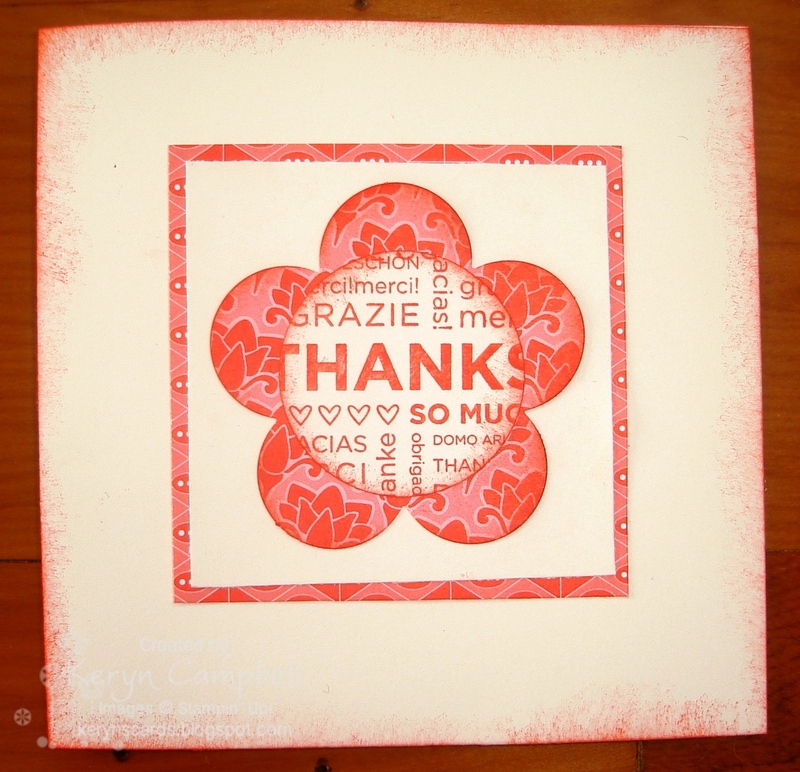 I was so pleased with the result I made a couple more cards with the leaves.